The Annual General Meeting of the Magog Trust will be held on Saturday 20th October 2018, at the Johnson Hall, Gog Magog Way, Stapleford. The AGM will be preceded by a short presentation on “Bugs on the up on the Down” by Dr Peter Kirby, a consultant entomologist who throughout the year has been surveying invertebrates on Magog Down. The Magog Trust was formed as a company limited by guarantee, is a registered charity and a registered farmer. This means it has to abide by regulations applying to companies, charities and farmers. Our financial set-up reflects these aspects. How much do we receive and what does it cost? This includes the membership and community activities of the Magog Trust. These activities are wholly charitable in that they relate to our access and educational objects. We aim to break even on these activities. Last year membership brought in £7,497, a very useful part of our income. This includes the finance and administration functions of the Trust and managing our expendable endowment, set up following receipt of a very generous legacy. 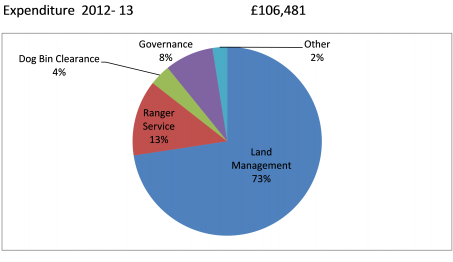 The income also covers the cost of the Ranger Service that we buy from Cambridge Past, Present and Future which last year was £13,817. Last year Investment Income was £18,840, donations, grants and other income amounted to £3,406. This includes all our farming and conservation activities. Since we started we have had a series of stewardship agreements which provide a steady income in return for providing free public access to our land and enhancing its conservation value by restoring chalk downland, creating new woodland and recreating other habitats to restore the diversity of flora and fauna on Magog Down. The main part of our income comes from the arable land at the foot of the South Down. 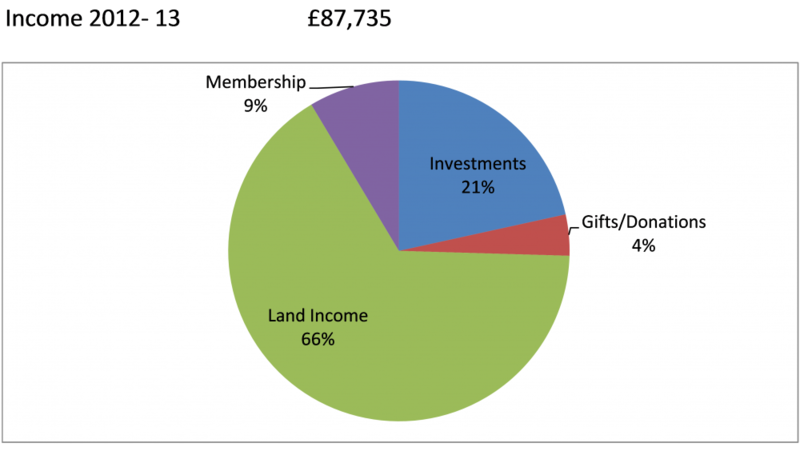 In total we had £57,632 income from land management last year. This generated a surplus for the year but we spent all that and more on reshaping our woodlands to protect our Scheduled Ancient Monument. As a charity we are exempt from income and corporation taxes but not VAT. We are registered for VAT and can recover all VAT we pay through our status as a "de minimis" partial exemption (if you really want to know more look it up on the HMRC website). If we sell goods and services we have to charge VAT. With annual expenditure of around £90,000 required to maintain the Magog Down including resourcing the Ranger Service, Dog-Bin Emptying, Farming and Forestry activities as well as administration, the Magog Trust is reliant on support from each visitor to the Down as well as grants, donations and income investment.